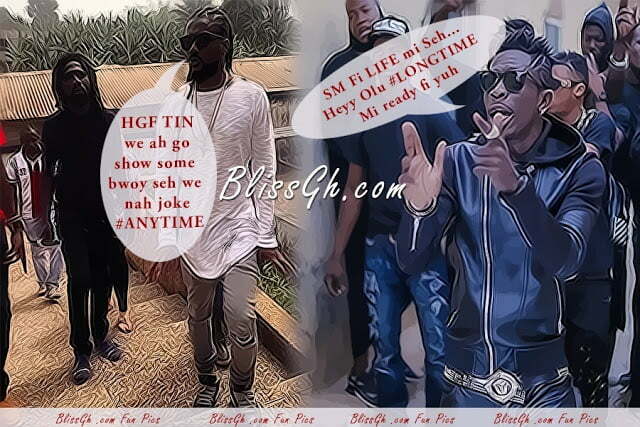 The song talks about Samini’s readiness to fight back anyone who tries him and his Highgrade family lyrically. he goes on to state that, no matter what the change in music is, He still stands tall and nobody can dis-tool him. 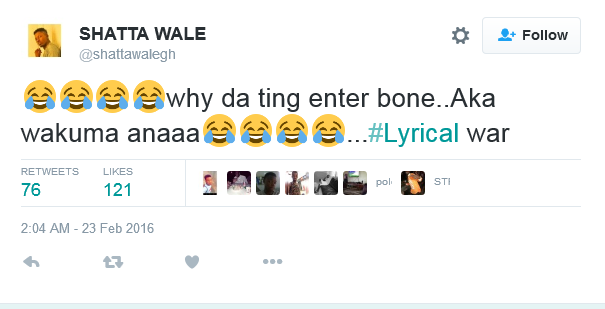 Shatta Wale yesterday also released a song titled Longtime (Ets3) (Download Here). Going by the lyrics of the song, many see it as another diss reply song for his musical genre rival, Samini. According to the lyrics of the song, Samini’s time is long overdue; his lyrics are of low standard therefore, he should just take a bow and look for something more profitable to do. 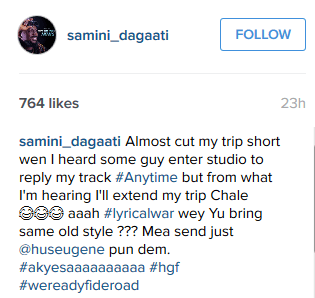 Samini who seemed not too happy with Shatta’s reply to his song has decided to meet him foot for foot, boot for boot. He went on his Instagram page to declare a lyrical war.